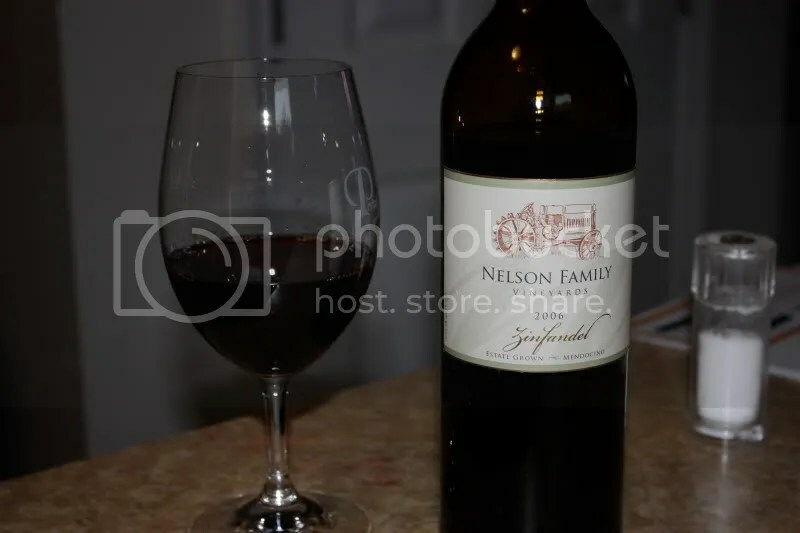 Filed under: California, Nelson Family Vineyards, Red, Wine, Zinfandel |	Comments Off on Zin Time! This wine is SO GOOD that I don’t want to stop and take notes. I’m too busy smelling it and drinking it and reveling in all that is excellent about Viognier. I wrote about the same bottle last year and had I realized that, I wouldn’t have bothered to stop to take notes but since it arrived in my most recent club shipment, I ASSumed that it would be a more recent vintage. But that’s okay, because this one is so excellent, it actually deserves a second review, if for nothing else but to convince you to go buy your own bottle or 12. Especially if you enjoy Viognier. You can read my first review here. I will tell you that it’s not common for me to not want to take notes! 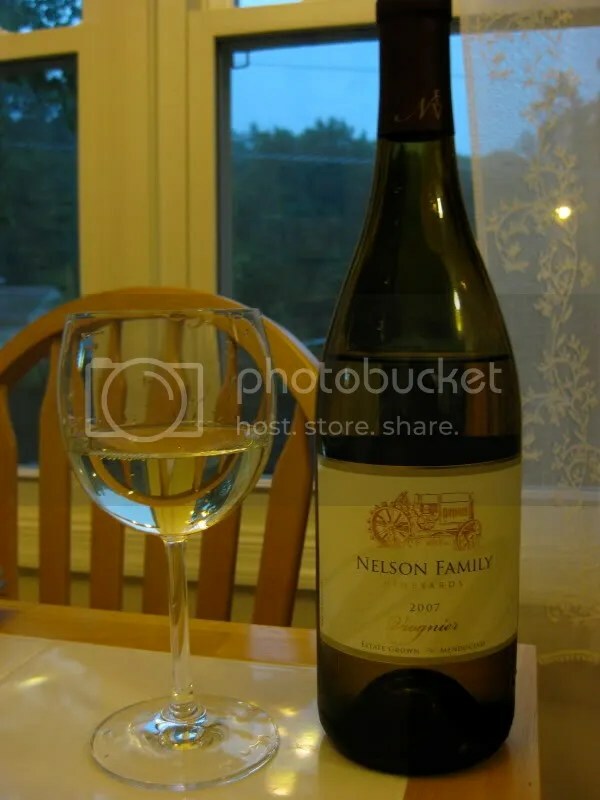 I’m speaking of the 2007 Nelson Family Vienyards Viognier. It had a cork closure, cost me $16.80 in a club shipment, and clocked in at 14.8% alcohol by volume. 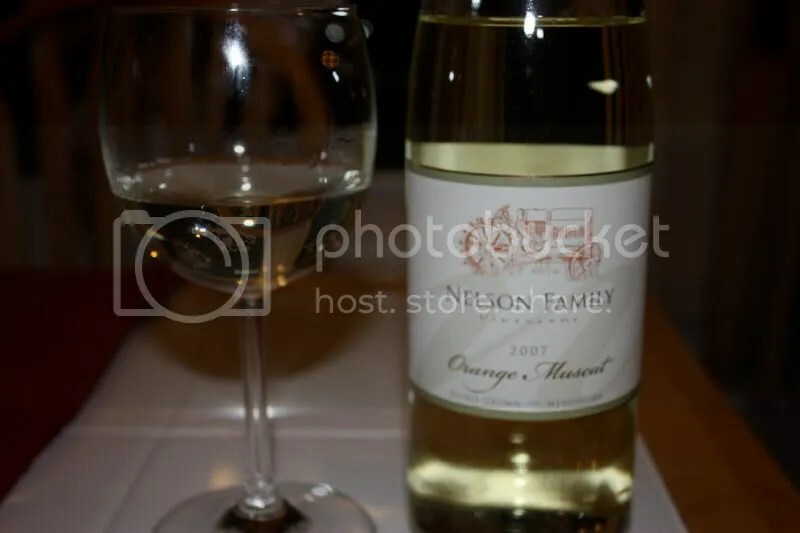 I found the nose to be flowery with peaches, apricots, honey, spice, pears, orange blossoms, and lemons on the edges. A scrumptious nose that you just want to dive into and swim around in…so enticing that you can’t wait to take a sip. In the mouth I got peaches, pears, honey, lemons, spice, and soft orange flavors. This wine had great citrus, excellent acidity, and nice clean fruit. It’s an incredibly well done wine with fabulous aromatics and a delightful taste. Enjoy a bunch this summer! 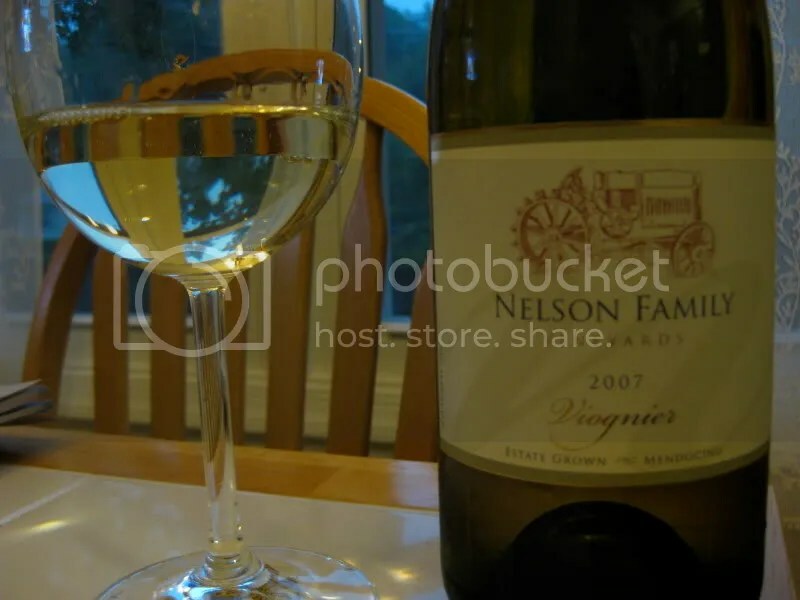 I picked the 2007 Nelson Family Vineyards Viognier for the wine of the evening. It had a real cork closure, cost me $16.80 in a club shipment, and Matt tossed the bottle before I could write down the alcohol content. I have to say, this was one of the best Viogniers I have ever had and a terrific value at that. 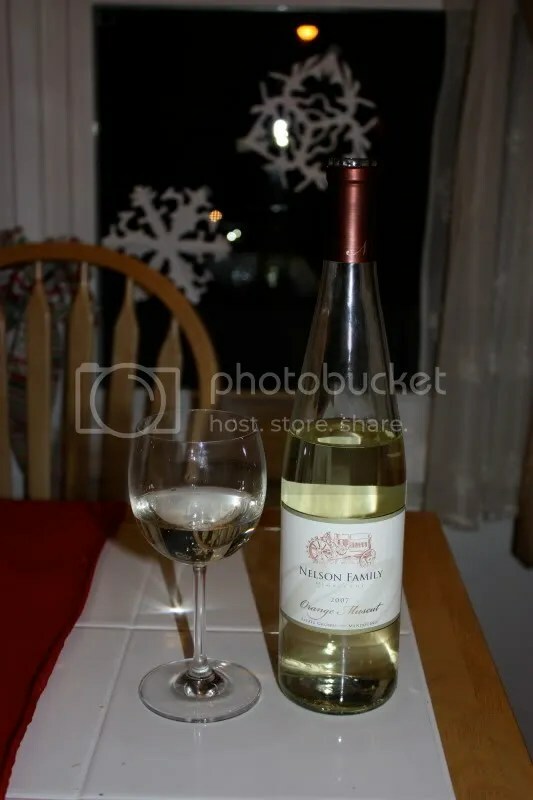 I wish I had more, I would definitely serve this bottle at Thanksgiving this year. On the nose I found peach, flowers, prickly pear, honey, and apricots. The nose made you want to dive into the glass and take a swim. The aromatics wafted out of the glass and across the room and you couldn’t wait to drink the wine inside. An absolutely beautiful nose. 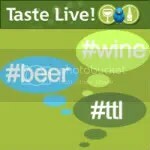 In the mouth I got flavors of peach, pears, honey, a touch of spice, apricot, and orange zest. The flavors showed as clean and crisp fruits, but the fruits were well developed and gave a full mouthfeel. A well done finish, clean and tasty. The wine just blew me away at this price point. I wanted more to drink. I can easily recommend this bottle. Rise and shine and a Rose and an omelet for breakfast. Perhaps a Rose and a turkey club for lunch, followed by Rose on the porch, ending with my bbq ribs and a Rose for dinner. Really, this Rose was so good that I would honestly want to drink it all day long. 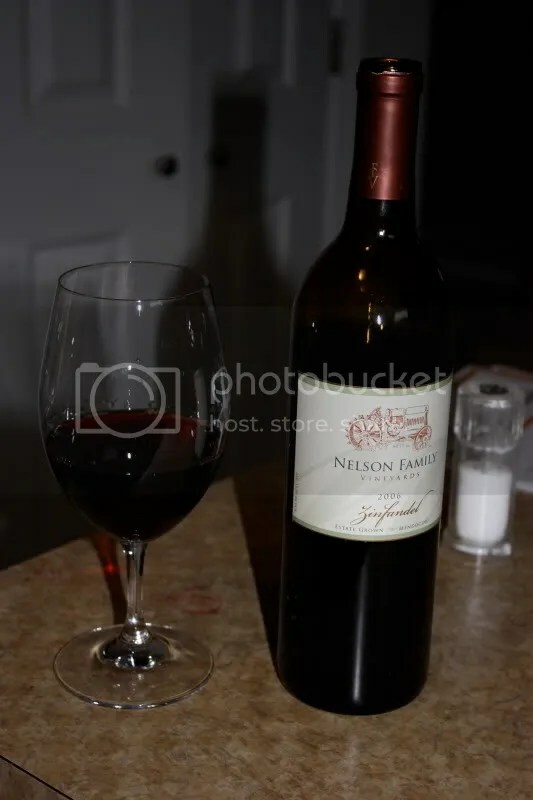 The wine was the 2007 Nelson Family Vineyards Zinfandel Rose. It came in a club shipment, cost me $12.80 with a club discount, had a real cork closure, and clocked in at 13.8% alcohol by volume. I’m not sure if the condensation in the picture is because I chilled it too much or we’re cheap and keep our house a touch warm…probably a combo of both, but it tasted perfect, especially that day as the weather hit the high 90s with oppressive humidity! Ah, the joys of living in a (former) swamp. On the nose I found watermelon, cream, berries, spice, and flowers. It smelled delicious and I wanted to jump in an take a swim in my glass. In the mouth, dry fruit dominated, lots of berries, but especially raspberries, cherries, and a hint of the watermelon from the nose. The wine really had just an absolutely beautiful structure and flavor and the color was fabulous. The tart fruit, combined with the dry acidity in the mouth make the wine a perfect sipper for before dinner, after dinner, with dinner, any old time. At this price, well worth it. 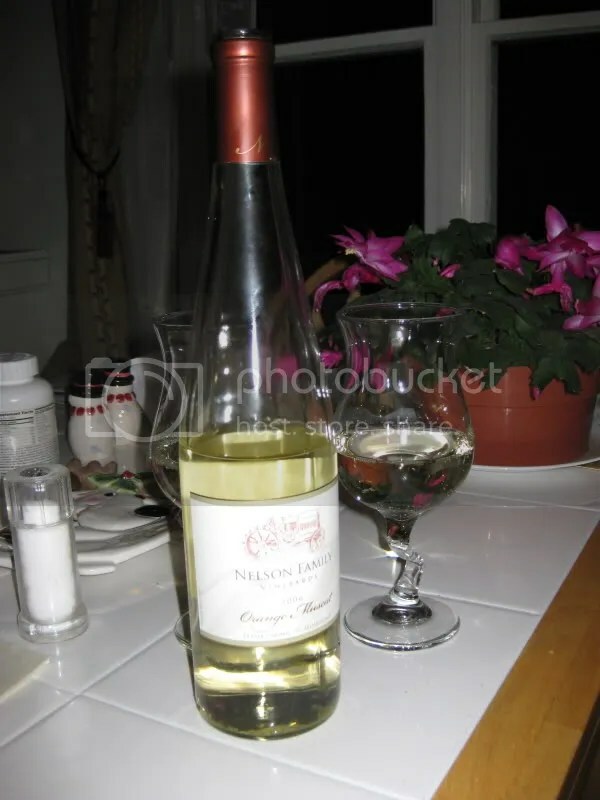 We drank this bottle of the 2006 Nelson Family Vineyards Barn Blend the other night in honor of the fact that we could not attend the blending party this year, sadly. Last year we did go, as I’ve talked about before, and this bottle was the product of that party, though sadly we were not the creators of it! The Barn Blend is a mix that’s Cabernet heavy with a bit of Merlot and Zinfandel making up the rest. I believe it costs around $18, clocked in at 14.8% alcohol by volume, and had a real cork closure. On the nose I found strawberry, leather, raspberry, currants, earth, and spice. In the mouth, again, the flavors were dominated by the strawberries, with raspberry hiding underneath, some spice and a bit of the earthy note. The wine needs some time to breathe before drinking, I definitely think this one has some time to age left in it! I served it with homemade pepperoni pizza, and it was an okay match, but being so Cab heavy I probably should have served it with the grilled steak we had the next night!